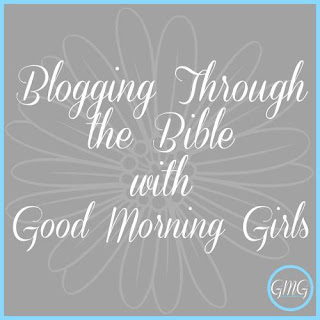 We are in Proverbs 11 with the Good Morning Girls today. Finding wisdom in winning souls is something I've never thought about before, but after reading verse 30 today in Proverbs 11, I see why it is so important to have the wisdom of God when it comes to winning souls. 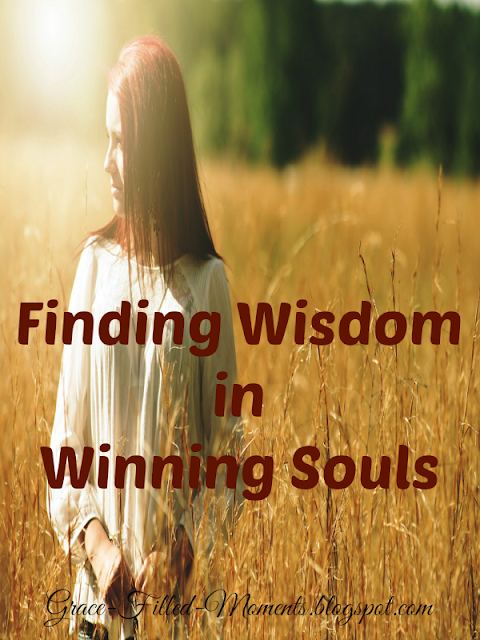 God says we are wise when we win souls. But before He says that, God tells us that the "fruit of the righteous is a tree of life". Let's take a look at the whole verse. Before we can ever hope to win anyone to Christ, we must first have the Fruit of the Spirit working in our lives. We see in this verse that the righteous are fruit bearers. The Fruit of the Spirit is love, joy, peace, patience, kindness, goodness, faithfulness, gentleness and self-control. It's the outward evidence of this fruit in our lives that will draw the unsaved to what we have to say concerning a life surrendered to Jesus Christ. We need to walk in wisdom when we share the knowledge of the Good News of Jesus Christ with others. We do this by being led in the Spirit of God as we speak and interact with those who have yet to come to a saving knowledge of Jesus Christ. Finding wisdom in winning souls means we surrender to the Spirit of God and allow Him to do the work required on the heart of the unrepentant while we continue to stand firm on the truth of God and allow His light to shine through us in every word we speak. It is only through the truth that others will be set free from the lies of Satan. We can love while never moving away from the truth of God because if we do move away from the truth, then those who need salvation through Jesus have lost all hope. Staying grounded in the truth will require us to spend time daily in the Word of God. Reading and studying God's Word will ensure that we will be ready at all times to give a reason for the hope we have in Jesus Christ. As we walk in obedience to the truth that God shows us in His Word, we will be ready to share the wisdom He has given to us with others. I pray that the fruit of my life is such that will draw others into a saving relationship with Jesus Christ so that I can be a woman of wisdom in the eyes of God. Is that your prayer too? If we have no fruit, we just don't have anything to show for Jesus. The fruit proves we are bound to Him as a branch to the vine. I want to be a fruity believer. What a good word today! I don't think I've ever thought about that verse in that way. He that wins souls becomes more wise. That's a cool way to look at this verse. I've always heard it taught that if you are wise, you will win souls. I especially like this line, "I pray that the fruit of my life is such that will draw others into a saving relationship with Jesus Christ so that I can be a woman of wisdom in the eyes of God." I pray that for my life as well. Came over on Tell it to Me. Glad to find your site!